If you’re like me, your social media feeds are filled with tutorials and sponsored ads for various apps, tools, and platforms that say they’ll help you streamline your business and double your revenue. Seriously, google “project management” or “Asana” once and those lovely algorithms will have you seeing tools like this everywhere you go. Dive into any entrepreneur community and you’ll see discussions galore about which ones are better, and people shoving affiliate links each other. Don’t get me wrong, they do it with the best of intentions, but for an overwhelmed entrepreneur, this simply isn’t helpful. And worse, some of us are prone to going to the shiny object syndrome of new tools. We want to try them all and spend so much time setting new ones up, learning their features, and transferring our data—that’s time we really ought to be working in or on our business. “Free Trials” have made this even worse because the only thing we have to give up is time and brain power (and for some reason, we subconsciously value those less than money). 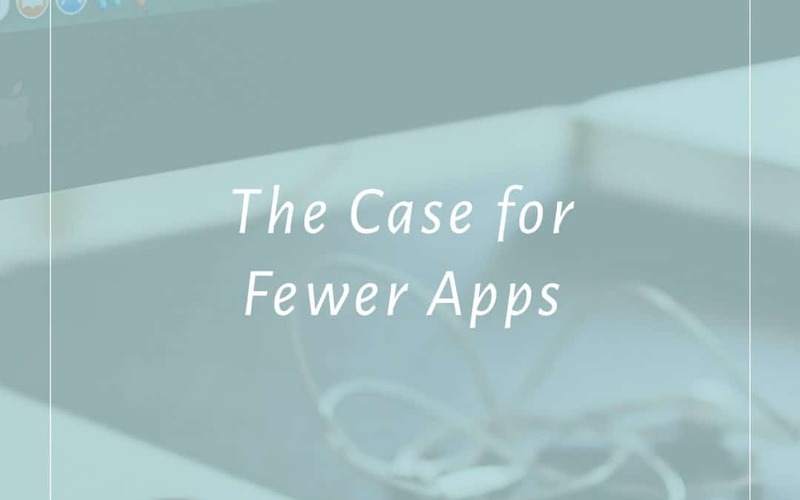 So let me make the case for fewer apps. Note: In this case, I’m going to use “app” to refer to everything from apps on your mobile phone, to apps on your laptop or desktop, to web apps. It’s a broad paintbrush for all of those tools and platforms we might be using in our business. The more apps you have, the more time you spend looking at apps. And unless you’re an app developer, that’s probably not the most productive thing for your business. Just because there is an app for that, doesn’t mean you should download it. Do you really need an app for that? Do you already have an app that can do that? I found myself looking at task/reminder apps the other day, but I already have Trello, Evernote, and Gmail which can effectively do just that thing. I also at one point had an app for dutch oven cook times. Seriously, a printed version tossed in the camping cookbook worked just as well (and was still available when my phone died). Also, just because it’s a free app doesn’t mean you need to use it. Just sayin’. Having too many apps is counterproductive to using them to streamline. Having more apps than necessary complicates your business systems. More moving pieces means more things likely to break. It also means more for you to remember. I’m sure you’ve been there. Did I write that down in Evernote or make a card in Trello? Maybe it’s in the client notes on Dubsado. Or maybe the pad of sticky notes I spilled coffee on yesterday. Ugh. Ah, I could go on for ages about why having fewer overhead costs is good for your business, and maybe someday soon I’ll write a post dedicated to running a lean business. Most of the good apps, to get the features we want, cost money. Most of them aren’t that expensive, but those little monthly subscriptions add up fast. And those annual ones are easy to forget about when you’re factoring your costs. Really evaluate an app before you shell out money for it. Is the free version good enough? Is there a cheaper alternative? Is there a direct revenue benefit with this purchase? Good areas to drop money on a good app are where your money is managed, or you can avoid hiring someone. That means paying for a good CRM to manage your invoices, a good bookkeeping app, and a reliable social media scheduler. 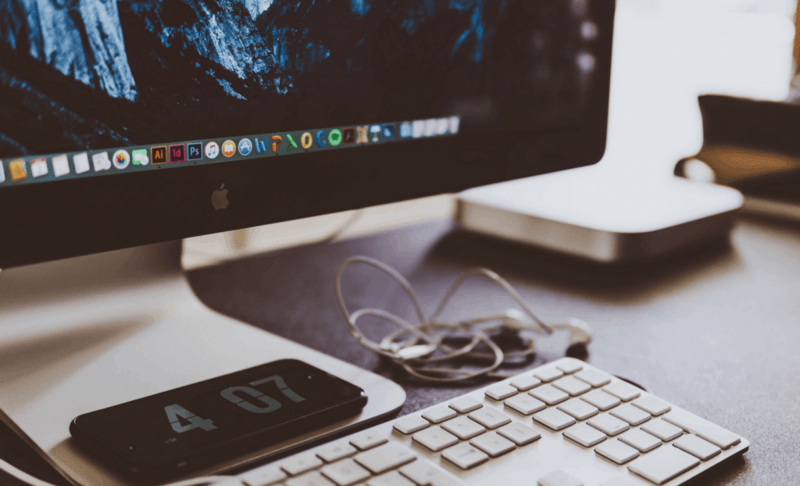 These may vary depending on your particular business and skills, but I find these three + an email marketing platform are the core apps that every online business needs. Take a look at what apps you’re paying for. Be sure to look for those forgotten annual payments. And then look at all of the apps on your phone. How many do you use on a daily basis? How many on weekly basis? Anything not in those two groups could probably be discarded. Freeing up valuable resources in your business starts with reducing the amount of tools you rely on and make sure you’re squeezing every drop out of the ones you keep. What apps can you not live without? Are there any that you feel you should be using better? Which apps were quick deletes? I’d love to know.